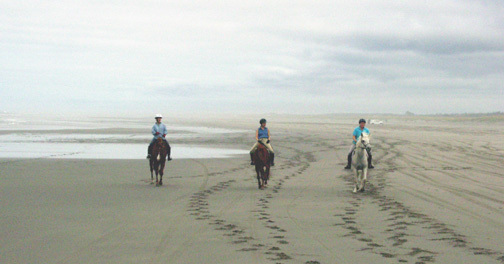 The weekend of 16-17 September, 2000, Lynne Flaherty with Renaissance, Nichole Walters with Eiswein, Kathy Westover with Top Rail, Joanne Henry with Rose Elegance and Peter Rothschild with Wing It, went to Long Beach, Washington to ride the Beach. It was wonderful! I hope you enjoy the photos and see what you missed! You can contact us via email at peter@tsandm.com . What Is This Stuff Anyway?